Piper DX-21" Piper MDX-19" Piper SMDX-17" Piper TDX-23"
Piper Series Evolution Walker is available in 4 sizes and is the best in its class. It is lightweight with a solid built and is stable. It is a strong aluminium walker. Evolution walkers are great. I own this piper series which I ordered from this website itself. I was in a hurry for this product and told the chat support that I wanted this delivered in less than a week. They made all efforts and it was there at my doorstep the 3rd day. Very Impressive! I am quite happy with the product and the service! 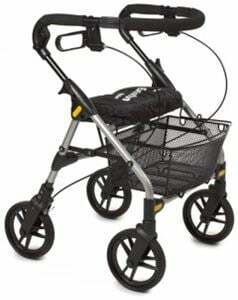 This walker is so comfortable and lightweight, only 13lbs. Quite sturdy too with good material quality. Initially i was confused between the evolution series and this one. Evolution series has the arm trough system option which no other series has. But due to its weight i went with this model and i have no regrets. Thank you for a great product! Great product, light weight and slim, at the same time sturdy. Well described products. easy to navigate and place order, quick shipping. All the ingredients one can ask for while making an online purchase. This indeed is a lightweight walker yet stable and amazing to use. My doors are not wide and I mainly use it indoors and I can pass with this walker easily through my doors. The service team was great too. Answered all my queries and product was delivered timely.